This year’s sessions will expand to two days instead of one, and will try to double the audience, from 100 to over 200. Also, the four scheduled panels will be organised by groups of stakeholders and not by topics. This will allow a larger range of perspectives on the practice of exchanging e-crime data between different legal frameworks. Finally, whereas past editions tried to offer a comprehensive view on different regulatory bodies, the 2018 symposium will focus on this year’s trendiest acronym, GDPR, to enter in force just one week before (on 25 May). This year’s program will delineate how all sectors can not only comply with the provisions of the GDPR but use its introduction as an opportunity to codify exchange of all kinds of data necessary for cybercrime prevention, response and investigation and manage the GDPR’s requirements at the same time. 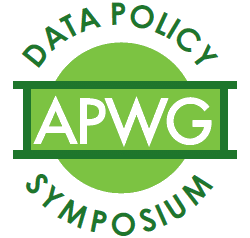 In these two days, APWG posits how GDPR, if positively engaged, can provide a mechanism for mobilising data of benefit for all stakeholders charged with management of cybercrime. A working group session, right after the last panel, will try to synthesize the results of the discussions and will bring in some of the contributions made during the Q&A rounds that will follow each panel. Pat Cain, APWG’s Data Tsar and Director of Policy, will be in charge of wrapping up each session and presenting the final conclusions for the event. Based on the outcome from this symposium, Mr. Cain will also propose suggestions for working topics of future symposiums. Jessee Sowell, from the Stanford Center for International Security and Cooperation, will work as the event’s Programme and Research Coordinator. He will also try to integrate its results into the Combined Capabilities Project. This event has received the support of RiskIQ, the Stanford Center for International Security and Cooperation, and the founding members of APWG.eu, APWG and CaixaBank.